I’m Alison Clarke, and have been a Speech Pathologist since 1988. I also have a Masters in Applied Linguistics and a Cambridge RSA English teaching certificate. I’ve worked for the Victorian Education Department, Yooralla, SCOPE, a University in Mexico, a hospital in London, the Royal Children’s Hospital Autism Assessment Team, Lewis and Lewis, and as a contractor in mainstream and specialist schools. 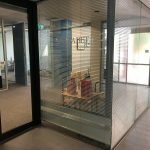 I started my private practice in Footscray in 2000, moved it to Clifton Hill in 2012, and then to North Fitzroy in September 2018. I was 2015-16 Vice President of Learning Difficulties Australia (LDA), and have also worked as an administrator, and been a City Councillor and Mayor. I received LDA’s 2018 Mona Tobias Award. Children with speech and language difficulties often struggle with reading and spelling. Learning to read and spell helps with listening and speaking, so I did lots of professional development to make sure I knew how to build literacy skills. Since then, children, teenagers and a few adults with spelling and/or reading difficulties have become my main client group. 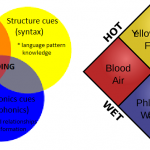 The use of explicit, systematic linguistic/synthetic phonics in the early years of school would prevent many literacy difficulties, and improve everyone’s spelling, and thus also boost teacher success and satisfaction. 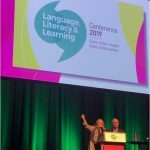 I’m keen to help parents, teachers and others incorporate this evidence-based approach into high-quality initial instruction and early intervention, while also working on vocabulary, comprehension and fluency. Learning how longer words are often made up of meaningful word parts spelt in patterned ways (morphemes). To promote high-quality research information relevant to teaching reading and spelling, and publicise teaching resources which reflect/are based on this information. 2. To encourage schools to adopt a Response To Intervention (RTI) approach to ensure all children without significant intellectual disabilities learn to read and spell well before the school system switches over from “learning to read” to “reading to learn”. RTI usually has three phases. First, excellent, explicit, systematic, linguistic/synthetic phonics classroom instruction, delivered by teachers who know the sound system (phonology), spelling patterns (orthography) and word structure (morphology) of English, and also teach vocabulary, comprehension and fluency. Second, intensive small group work for the approximately one in five children who need some extra help/practice. Finally, intensive, individual, expert help for the small number of children who still struggle (children with Specific Learning Disabilities or dyslexia/dysgraphia). 3. 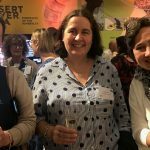 To make my Spelfabet literacy-teaching materials publicly available, and promote my assessment and therapy services and workshops. Income from these make it possible to maintain this website. 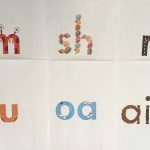 Many mainstream phonics materials are poorly designed, and show a weak understanding of the sounds and spellings of English, and how we learn. Many high-quality synthetic phonics materials available are too “teddy-bearish” for use with older learners, because they’re designed for five and six-year-olds. 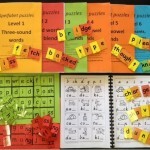 I devised the Spelfabet materials because I needed materials to use with older children and teenagers which were affordable, phonetically accurate, easy for aides and parents to use, progressing in tiny, errorless-learning steps and with Australian English grammar, vocabulary and spelling. I also wanted something easy to carry on a USB stick, so that I could quickly print, laminate and bind materials at school. Materials are pdf downloads from this website’s shop. I’d love to hear your feedback, suggestions or questions on my materials or website. Any researchers who’d like to subject my materials to scientifically rigorous testing would have my full and enthusiastic support. Hello Alison, your program looks very interesting. I was also wondering if you personally tutor or have people tutoring for you with your program and materials. We are in Melbourne in the Box Hill area and I have a son who is 9 years old. I often think it would be wonderful to give him a more solid grounding in phonics. Another school mum has just turned me onto you after we had big 'unload' about how we feel our kids are going in their grade 1 class on the Gold Coast. My daughter is 6 and reads very well and spells very well, but I feel her needs are not being addressed in class. I go in and help as much as possible, and it is quite disheartening to see how many children are unable to read, even just a little bit. I realise that Govt schools have neither the funds or time to address the needs of each individual child, so I am seeking suggestions that I may give my daughter homework so help progress her learning. Is this the sort of problem that your program helps with? I hope that query made sense? I type erratically when I'm angry! Hi, Penny, glad to hear your daughter is going OK with her reading and spelling, but sorry to hear not all her classmates are, and that you feel her needs are not really being addressed. I think schools create quite a big problem for themselves when they use only Whole Language or Balanced Literacy (usually whole language with a sprinkling of analytic phonics) approaches to teaching reading and spelling because you end up with situations like the Grade 2 class I was in today, where some kids read like 6-year-olds (i.e. they can’t read much) while one child has the decoding skills of a 16-year-old. How teachers are meant to address their needs and everyone else’s in between is really unclear to me. Their teacher is lovely and very hardworking and experienced, but I think her task is impossible. If everyone got a proper first-and-fast phonics blast in their first year of school, less kids would fall behind and there would be less discrepancy between kids, and thus teachers’ lives would be a lot easier after that. Re your daughter, if she’s good at reading and keen to do it, and has enough books in which she can decode 95% or more of the words, then she should be fine to just read, read, read with lots of encouragement and interest from you, and her decoding skills will probably continue to build. If you want to give her structured practice on spelling you can use my materials, or there are lots of other things on my resource lists that might work equally well. Make sure you include lots of writing activities, anyway, as this seems to be the most powerful way to help children grasp spellings. Make sure she says the sounds (not the letter names) as she writes them. Apart from that, it sounds like you’re one of the lucky ones who has a child with good phonemic awareness and the ability to see many of the patterns, so please enjoy this, there are a lot of parents who are less fortunate. my daughter starts school next year and. Really want her t have a strong start. Do your materials cover this and wha would you suggest? Hi Rebecca, one of the best things you can do with your daughter is talk and read to her and develop her oral language, but also if you can make sure she understands that words are made of sounds and letters are how we draw them, this will start her off on the right path. We have a few spellings for each sound, and sometimes we use the same spelling for more than one sound, but children can cope with this, they understand from their own drawings that a drawing of a house can have different shapes and sizes and still be a house, and that a circle could be a sun or a balloon or an orange. I suggest you also help her learn to recognise letters and say the main sound for each one, perhaps using Jolly Phonics or Zoo Phonics actions to help her remember. Teaching the sounds is a lot more useful than teaching the letter names (though perhaps when she starts school they will expect her to know the names too, but letter names can really confuse some beginners). Children who are starting to “hear” the structure of words are ahead of the game when they start school e.g. children who are aware of and can generate rhymes (e.g. they know what’s funny about “roses are red, violets are blue, most poems rhyme but this one doesn’t”, and if you ask them what rhymes with “cat” they can tell you at least a couple of words) and pull the first sound off a word e.g. “mum starts with m” and then tell you other words starting with that sound – monster, mouth, me etc. If you have an iPad and your daughter is playing with it anyway, perhaps get her playing Phonics Hero and some of the other apps at http://www.spelfabet.com.au/phonics-resources/preschool/, and perhaps also get her some Little Learners Love Literacy, Get Reading Right or Jolly Phonics decodable books and help her start sounding out words. Your resources are amazing. I love that you offer free resources as well, that really does help out parents. My daughter is 12 yrs old and just starting yr7 and has had speech therapy on and off since she was young. However, her treatment was interrupted several times over the years to address anxiety concerns stemming from her inability to express herself and the schools/ teacher’s lack of understanding how to deal with the situation. Despite many attempts at tutoring, speech therapy and counselling, she continues to perform below her age level, although she seems to perform better in numeracy. At the moment she’s seeing a psychologist and a speech therapist(Kids focus paediatric therapy) once a week. She has start school at a private school and it seems they’re not much better than public school. I have had a speech assessment done last month. Her results returned as having a reading age of 8.5 and spelling age of 9.5. She seems to be ok with oral decoding but not visual decoding with some area performing at expected level (7-13) and others at below expected level and scoring mostly 3. I am extremely frustrated, worried,confused and DESPERATE to help her in way possible. I really don’t know what to do?! I have opted to have the speech therapist address her concerns but I feel 1/2hr a week is not enough to help improve and it’s quite expensive at $75 . Also I’m not sure whether if she requires the assistances of anyone else now that she’s in high school. Yes I just saw your earlier reply. Thanks you. I have contacted them many years ago for my son but as I recall Speld provided one on one tutoring services, however, I will contact them today and hopefully they’ll be able to help. Hi Alison, I really sympathise with children that have these problems. I myself suffered considerably when until I reached 17 years old. I got private tuition but it helped only slightly. I’m very happy that your daughter is progressing, every step forward is one less back. I want to attend your seminar. When will you come to Japan?And please tell me which place of Japan you will come. my name is Jill. I am very interested in phonics. My mother taught me the basics when I was little, enabling me to read at a young age. How can I be trained in phonics, such that I can become a tutor, & to make a career of it? 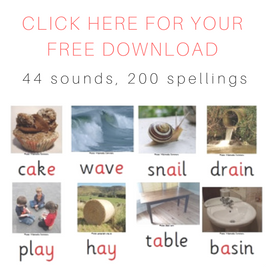 Hi Jill, lots of people run courses, have a look at this blog post http://www.spelfabet.com.au/2016/03/upcoming-training-in-synthetic-phonics, which is out of date now but it contains lots of links to providers who will be running training this year, their contact details and an idea of how long their training takes and what it costs. Probably the Sounds~Write training would be my pick of the bunch in terms of value for money, but I don’t think there is a course in Melbourne till later in the year. Thanks for sharing the above link. I really want to jump in and take one of these courses but I could never come to a decision on which one to enrol in. Thank you Alison, I appreciate your help. Hi David, sorry, I can’t teach you from this website, you need a teacher/therapist, and I hope this website helps your teacher/therapist with finding great teaching resources and ideas that help you. Do you have a guide for parents to help beginning readers (4-5 year old) using decodable books at home please? have you hd any experience with LIPI and LIPI 2? If so what are your thoughts on the program? This is the info on the program. The full name is ‘Lessons in Phonics Instruction’. My 9 year old daughter has just been diagnosed with dyslexia. She is approximately 1.5/2 years behind in both spelling and reading. What would your suggestion be to assist her. Would you think tutoring in msl? Or is a speech therapist better? We are located in Melbourne.